The commercial and industrial (C&I) space is one of the most challenging environments for solar installations because of high ambient temperatures, high irradiance, obstructions, setbacks or pathways add to the complexity and cost of design. 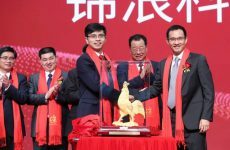 But the segment increased 20 percent in the third quarter of 2017 and may be ready to boom, according to CEOs at Solar Power Northeast. Fronius, one of the top string inverter manufacturers, is ready to kick start that demand with a new solution for simple and cost-effective commercial rooftop installations, including easy NEC 2014 and 2017 compliance. 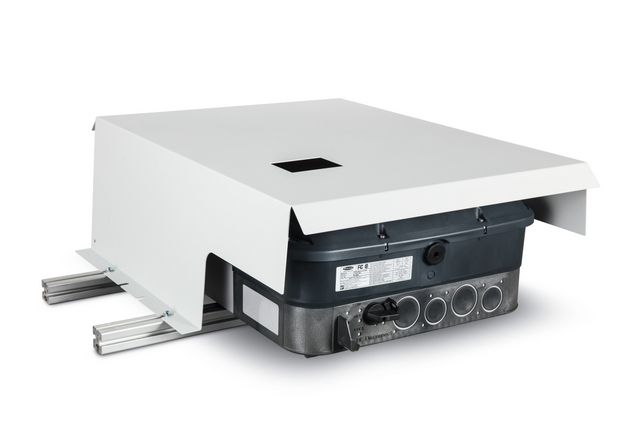 The new Fronius Rooftop Solution consists of a Fronius Symo 24.0 string inverter, the MC4 Connector option and the Fronius Shade Cover. The Fronius Rooftop Solution provides a comprehensive solution for commercial rooftops. 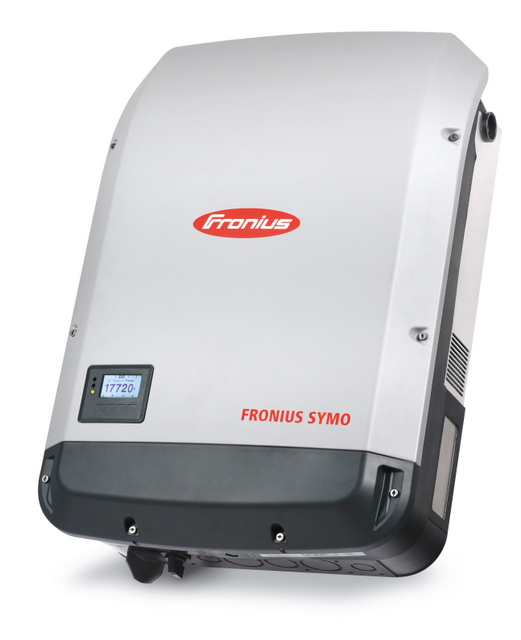 The lightweight Fronius Symo 24.0 inverter allows for mounting at any angle from vertical to completely flat. 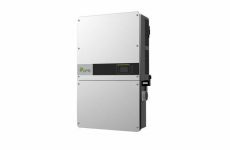 The 24 kW size facilitates both optimal inverter distribution and string length for space limited commercial rooftops. The collective design approach of the solution applies to both inverter and system design to provide a high reliability, right features, and right size, resulting in best return on investment for both installers and system owners. Low labor requirements, design flexibility, and the Fronius O&M advantages of this truly field serviceable inverter combine to provide best Levelized Cost of Energy (LCOE). In rooftop applications, the easiest and most cost-effective way to fulfill NEC 2014 and 2017 requirements is to mount the inverter next to the array, within the boundary for NEC rapid shutdown requirements. This way the inverter acts as a rapid shutdown device and eliminates the need for additional equipment – reducing the number of components and Balance-of-system (BOS) cost. Many rooftop installations are unique in design and to ensure the highest inverter performance throughout the lifetime of a system, Fronius offers a shade cover as part of the Fronius Rooftop Solution – keeping the inverter’s temperature low and performance high even in sunny and high temperature mounting locations. The cover is simple and quick to install, taking just five minutes. Due to the increased energy production, the Fronius Shade Cover pays for itself. The Fronius Shade Cover can also be retrofitted to existing installations. 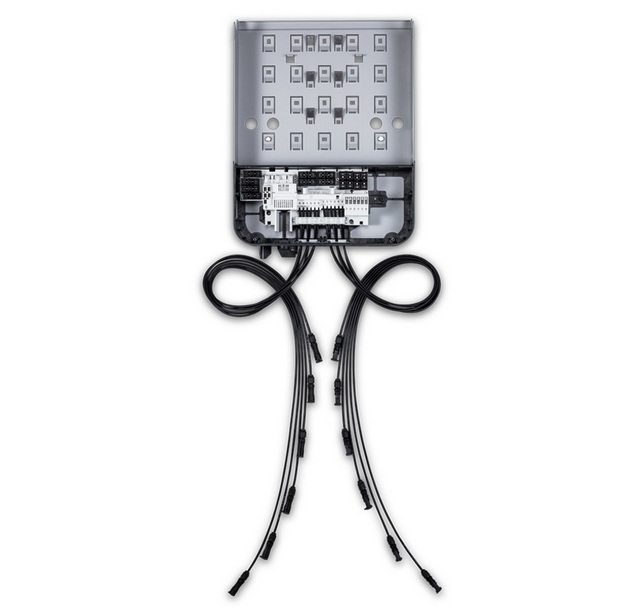 The MC4 Connector option for the Fronius Symo 24.0 simplifies the installation of the Fronius Symo inverter even further. By simply connecting the DC wires through MC4 connectors, multiple installation steps are eliminated, such as wire management inside the inverter, installation and sealing of conduits, or pull tests of torqued conductors. This not only reduces installation and commissioning time, which is crucial for bigger projects, but also simplifies ongoing preventive maintenance and improves technician safety.